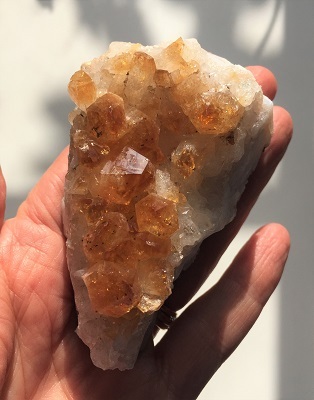 Golden Citrine Quartz Cluster with honey colored crystal tips from Brazil. 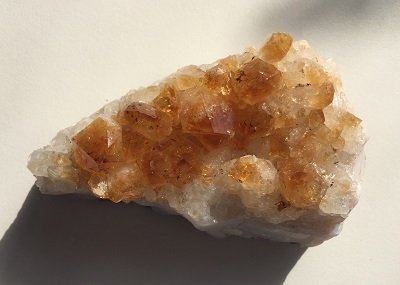 Warming, stimulating and highly creative, Citrine is energizing on every level of life. Citrine resonates with the vibration of manifestation and helps to attract wealth, prosperity, and success into your energy fields. 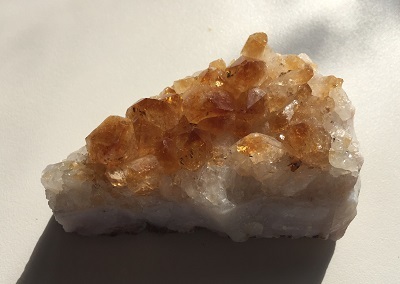 Citrine is also a powerful cleanser and re-generator dissipating and grounding negative energy. Citrine helpfully raises levels of self-esteem and confidence while removing destructive tendencies. Citrine enhances concentration helping one to get to the source of an obstacle and facilitating quick solutions. Citrine helps to stabilize the emotions, dissolve anger, and encourages a bright outlook on life. 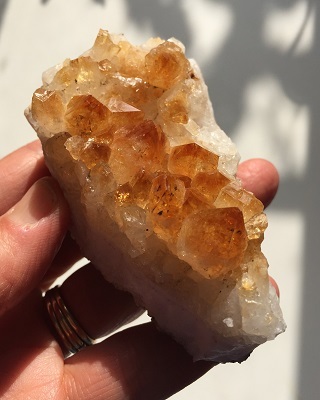 In healing, with its “sunny” energetic vibration, Citrine may be an excellent stone for overcoming depression, fears, and phobias. Citrine may be supportive for those interested in weight loss and increased energy for exercise. Citrine may help to stimulate digestion and supports a healthy metabolism.